Finally, SEO made easy for everyone! 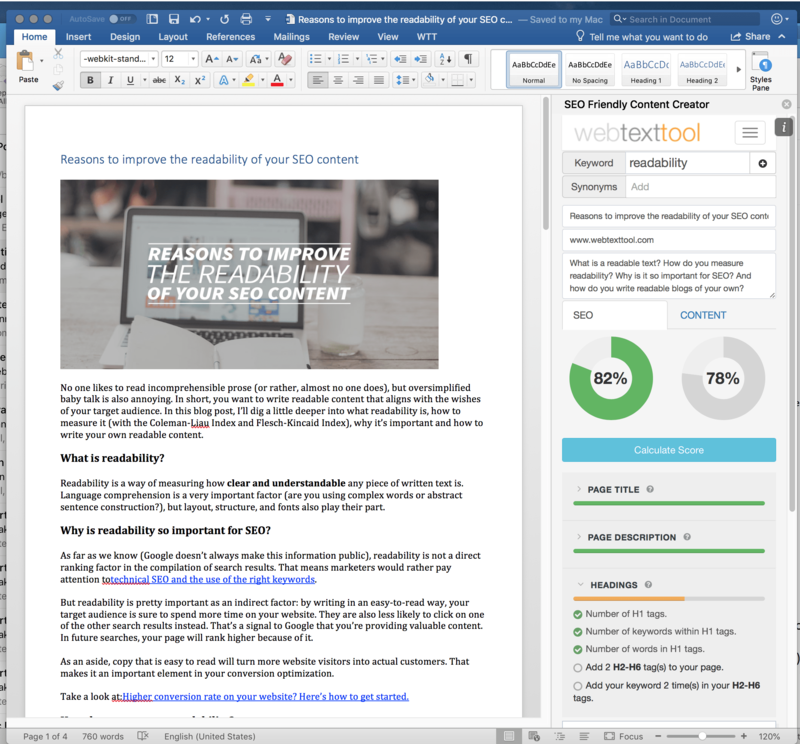 Create SEO Proof content directly in Microsoft Word! Register for your free account now. With webtexttool you can make your content SEO proof in an easy and efficient way. The tool helps you optimize content with realtime SEO suggestions, find the best keywords for your content and track Google ranks & progress. It will save you time and money. And you will be sure that your content is always on-page optimized according to the latest SEO rules. After your have registered your account, you can enter your username and password in the webtexttool Microsoft Word add-in to use webtexttool’s SEO optimization services directly from Word. Webtexttool optimizes your content in realtime while you are writing it. No need to review, rewrite and republish your content. Choosing the right keywords for your content becomes much easier and faster with our keyword suggestion module. It will analyse your keyword, give you suggestions and advice based on search volume and competition. So you will be sure that you choose the right keyword. We will make sure that webtexttool applies the latest SEO rules. We will take care of that, so you can focus on creating your content. 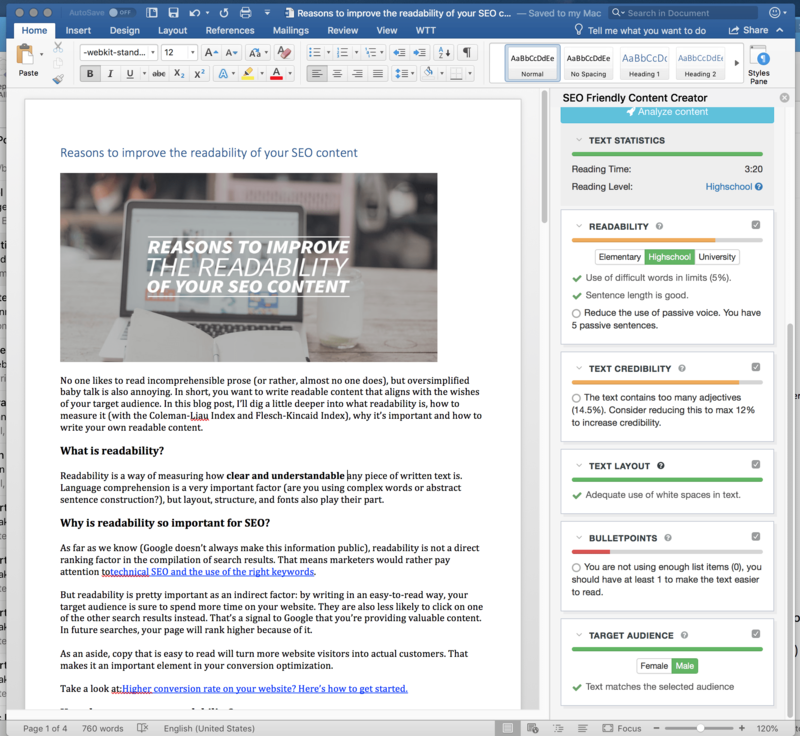 Give your visitors a great reading experience and improve on-page time by ensuring that your content is accessible and easy to read for your intended target audience. Run our automatic checks for word difficulty, jargon and gender inclination.